Improve hand hygiene throughout your workplace with cotton roller towels. Regardless of the range of hand dryers and paper towels available in the market today Linen roller towels continue to be the choice for many working environments due to their superior hand drying effectiveness. Helping to eliminate more bacteria thereby reducing the risk of spreading workplace infections. Roller Towel Hand drying removes water, soap, dirt and dead cells from hands reducing the risk of cross contamination, it is cotton towels that provides the superior performance in eliminating both traces of bacteria and dirt from hands. Cotton roller towels are the Green Option, no more paper filled bins, or noisy hand dryers. 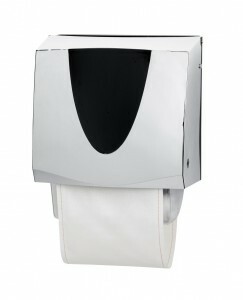 With Roller Towels you benefit from tidy washrooms, reduced costs and hygienic environment. Not sure what type of hand drying you require? Then talk to us first we can help you with advice and support ensuring you have the right services for your Washrooms. Get a Quote today, or request a call back from one of our experienced washroom experts.